An award-winning documentary filled with never-before-seen images, THE COLOUR OF WAR is a spectacle of colour, sights, sounds, and memories. At its core, World War II was a black-and-white struggle between good and evil. But the everyday scenes of carnage, human resistance, and guttural warfare were much more complex. A striking assemblage of colour footage and photographs from national archives and private collections, THE COLOUR OF WAR delivers striking perspectives on the day-to-day experience from every imaginable angle. From the first draftees thrown into the breach to the sheer boredom between battles to the uniforms worn and the objects carried, this unparalleled collection of voices is further illuminated by letters and diaries, communiques from the battlefield and the sounds and songs of the era.Narrated by Peter Coyote (Erin Brockovich, E.T.) 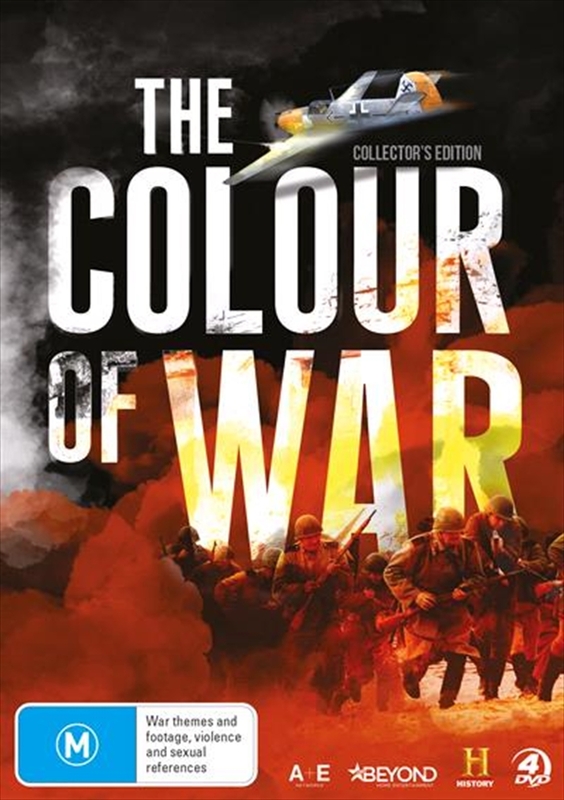 the 15 programs included in THE COLOUR OF WAR constitute the most extensive all-colour documentary ever produced on the Second World War.